I love making frozen treats from scratch!! 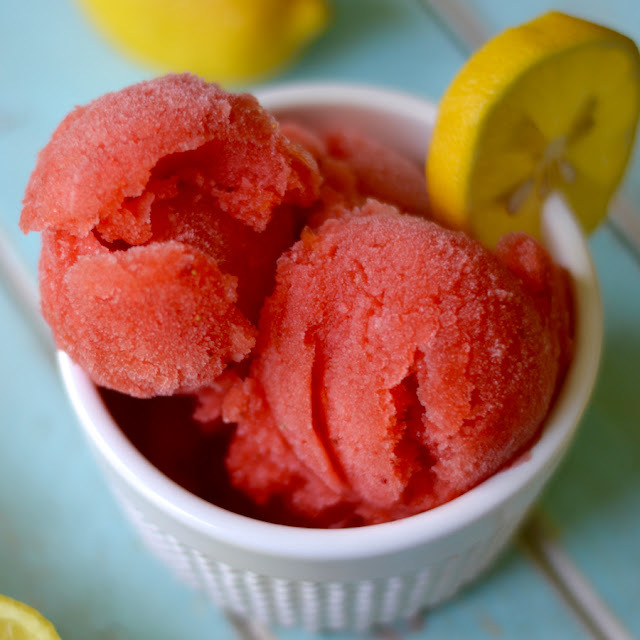 I've made popsicles, ice cream, and now...sorbet! And guess what: I don't use any special tools - no ice cream maker! 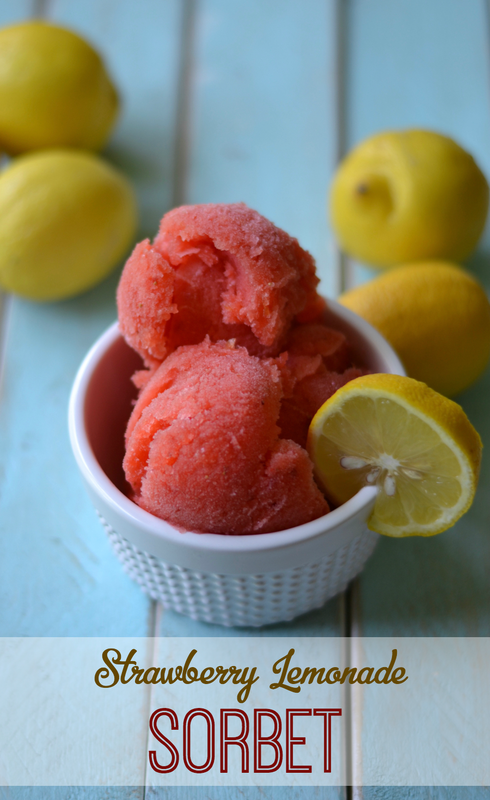 This strawberry lemonade sorbet is the perfect blend of sour and sweet - perfectly refreshing on a hot day without weighing you down! 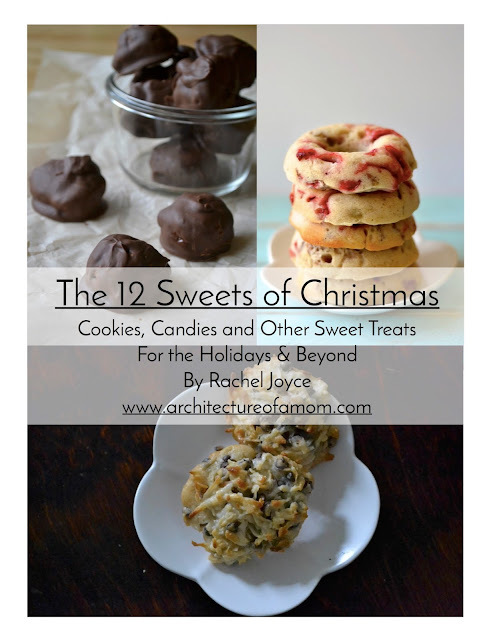 I love lemons...but my kiddos and husband can't handle too much tart/sour flavors. So I came up with this dessert that is perfect this time of year when strawberries are in season! In a small saucepan over medium heat, combine the water and sugar. Stir and boil until the sugar dissolves, about 1 minute. Remove from heat and allow to cool. While the syrup cools, hull the strawberries and then puree them in a food processor. 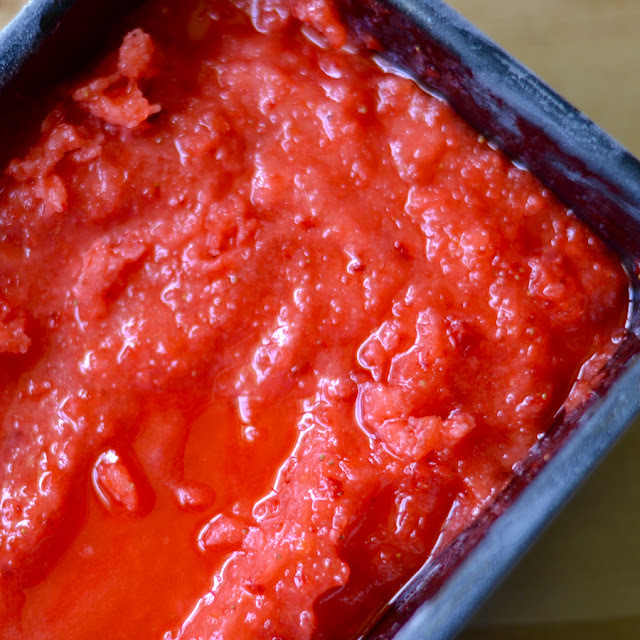 Stir in the strawberry puree, lemon juice and lemon zest, then pour into a metal loaf pan or other similar freezer proof container. Place in freezer. Stir every 30 minutes for at least 3 hours. Cover. 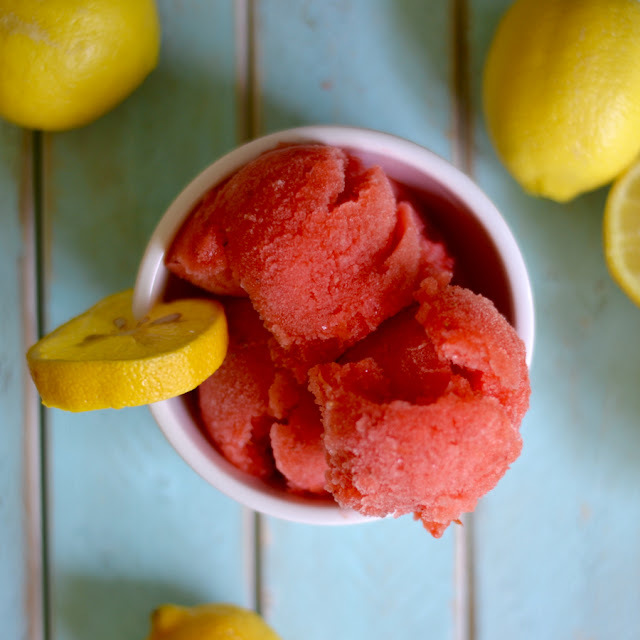 The sorbet will solidify in the freezer. Yum! Featuring YOU tomorrow... Thank you for partying with us!